Lawmakers on the left and right are miffed at Big Tech, but the question has always been: So what're you gonna do? For the first time, there's an answer. 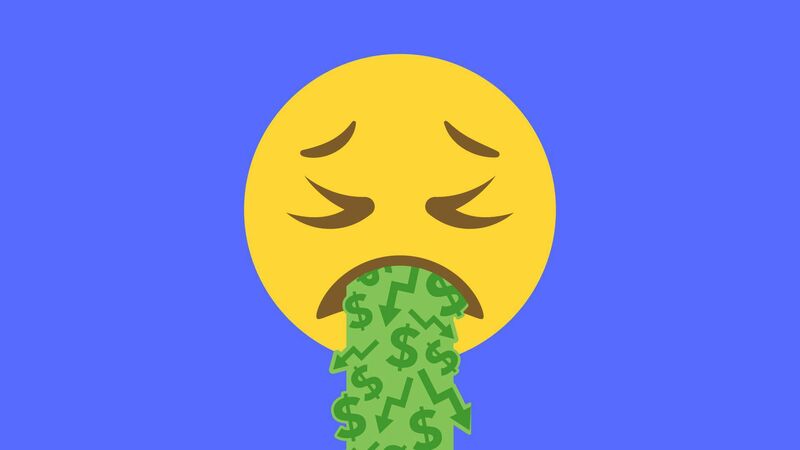 In a blueprint obtained by Axios' David McCabe, Senate Intelligence Vice Chairman Mark Warner (D-Va.) spells out 20 ways to rein in Big Tech and clean up social media — but stops short of calling for the break-up any of the platforms or creation of a new federal regulator for digital issues. Why it matters: The policy paper by Warner's staff shows Congress plans to stay aggressive with Facebook, Google and Twitter, while giving them ways to satisfy Washington and still remain the giants they are today. The paper — surfacing just days after Facebook suffered the largest-ever one-day loss in market value — is a window int0 options available to U.S. policymakers concerned about disinformation and privacy. The outlook: Enacting any of these plans is a long shot for now. But new Dem strength in Congress after November could give them more momentum. New rules for platforms: The paper considers requiring web platforms to label bot accounts or do more to identify authentic accounts, with the threat of sanction by the Federal Trade Commission. One idea would make platforms legally liable for claims like "defamation, invasion of privacy, false light, and public disclosure of private facts" if they fail to take down doctored video and audio or so-called deep fakes (or fabricated footage), if a victim secured a necessary judgment. New powers for consumers: Warner raises the idea of a law mimicking Europe’s GDPR (General Data Protection Regulation) privacy rules in the U.S., or offering a more limited right for users to consent to use of their data. Be smart: These are suggestions, not specific bills. And Congress isn’t remotely close to consensus on the need to regulate, much less how to actually do it. But the long arc of action seems to be bending toward a new set of rules for America’s tech darlings. 2. Rudy on Mueller probe: "They don't have a goddamn thing"
Rudy Giuliani tells Jonathan Swan that President Trump is fed up with Robert Mueller and wants him to "put up or shut up." "Why don't you write a report and show us what you have, because they don't have a goddamn thing," Giuliani said. "It's like a guy playing poker. He's bluffing and he's only got a pair of twos." 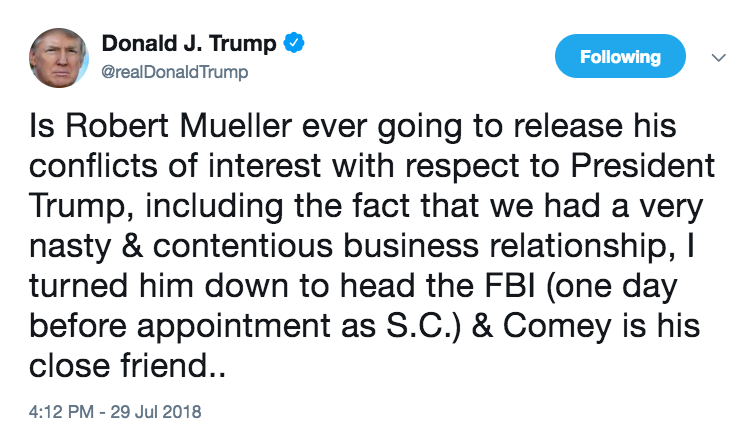 Trump tweeted twice about Mueller yesterday in terms that were sharper, and with a more personal edge, than the president's usual rants about the "witch hunt." Giuliani said Trump's view is: "Enough is enough." Asked whether he meant Trump was considering firing Mueller, Giuliani replied: "No. No. He's thinking: 'Hey, the guy should get this over now.'" On Michael Cohen: "The president has always had a soft spot for Cohen. He almost still does. Even now with his betrayal by taping him he still is worried about him because he believes he's only hurting himself." Giuliani said the Mueller tweets weren't prompted by the news last week that Allen Weisselberg, longtime chief financial officer of the Trump Organization, has been subpoenaed to testify before the federal grand jury probing Cohen. This gets into Trump's wallet. Bloomberg's Tim O'Brien, one of the longest Trump-watchers, calls Weisselberg a bigger Trump fish who "knows far more" than Cohen. Giuliani said Weisselberg is "a great guy. He doesn't know anything that we don't know. He's completely supportive, 100 percent." "Maybe it upsets him [Trump] in the sense that they [Mueller's team] chase down every alley, then they end up with nothing." "Michael Cohen is blowing up on them. He's self-immolating. And it doesn't affect them [Mueller's team]. They are looking at the president's tweets. I don't know how you make an obstruction case based on tweets." Rudy said that the Trump legal team has "183 unique tape recordings turned over to us" from Cohen, but says only one of these tapes — the one we heard last week — has Trump's voice on it. Giuliani, who earlier discussed the 183 tapes on CBS' "Face the Nation," said the rest of the recordings capture other people talking about Trump. "But they talk about him in a way that the liberal press won't be supportive of," Giuliani said. "It's not a campaign contribution. It's a personal matter concerning the president and his wife." As the two sides escalate their public case, Cohen's lawyer, Lanny Davis, fought back against Rudy's complaints that Cohen is violating attorney-client privilege. "Mr. Giuliani seems to be confused," Davis says in a statement. "He expressly waived attorney client privilege last week and repeatedly and inaccurately — as proven by the tape — talked and talked about the recording, forfeiting all confidentiality." 3. "Broadband for all" vs. "Medicare for all"
First look: The center-left think tank Third Way Americans is trying to convince potential Democratic presidential candidates that a wide swath of voters prefer policies that promote opportunity, rather than the entitlement of "Sanders-ism." You can boil the approaches down to "broadband for all" vs. "Medicare for all." Other examples of Third Way's opportunity agenda include apprenticeship programs, help for small businesses, and regional minimum wage increases. "Voters see an opportunity crisis, and in some ways Trump tapped into that," said Lanae Erickson Hatalsky, Third Way's vice president for social policy and politics. "[I]f Democrats embrace this cause, they can beat Trump." 46% of voters want the government to focus on polices that expand opportunity to more people and places, while only 26% would prefer a focus on addressing income inequality. Democrats, independents, voters of color, union households, and millennials all prefer expanding opportunity to addressing inequality. Explore the Third Way polling. 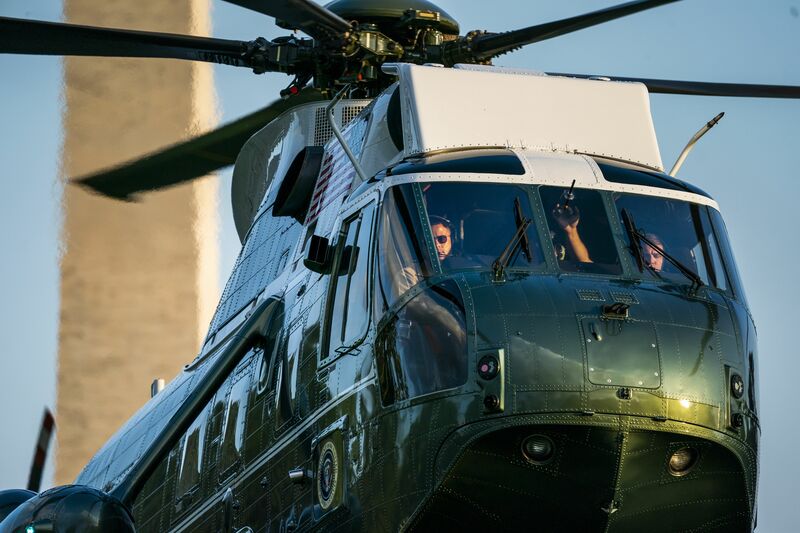 Marine One ferries President Trump to the South Lawn yesterday after a weekend stay in Bedminster, N.J. Testing, college-prep and recognition programs are a gateway to "data mining for millions of minors," and "students’ profiles may be used to target them for educational and noneducational offers." "These marketing programs are generally legal, taking advantage of the fact that there is no federal law regulating consumer data brokers." Why it matters: "They ... face little oversight because federal education privacy laws make public schools, and not their vendors, directly responsible for controlling the spread of student data." "But the handling of student surveys is receiving heightened scrutiny, particularly in the wake of revelations about Cambridge Analytica." "Coke on Wednesday said it was taking the unusual step of raising soda prices midyear in North America because of rising costs, including freight rates as well as prices for plastic and aluminum." Why it matters: "U.S. manufacturers have been on a tear. ... But [some] executives and investors fear rising costs as a result of the tariffs could sap customer demand and crimp profits." Big manufacturers are running into an uphill battle persuading President Trump to back an Obama-era climate deal, Amy Harder writes in her weekly "Harder Line" energy column. The big picture: It's proving hard for them to convince a Republican who abhors regulations, dismisses climate change and dislikes global accords to embrace a policy that combines all three. The details: The policy at hand is an amendment to the Montreal Protocol, a global treaty first created 30 years ago to protect the Earth’s ozone layer. The amendment reduces greenhouse gases emitted from refrigerants in everyday appliances. With leadership by the Obama administration, world leaders agreed to it in Kigali, Rwanda, less than a month before Trump’s election win. Why it matters: It’s the latest example of industry running into surprise trouble convincing Trump to back policies businesses support, like free trade. The intrigue: Trump administration officials are concerned about costs to consumers who use appliances affected by the policy, including air conditioners and refrigerators. They're also critical of some of the tactics industry has employed in lobbying. 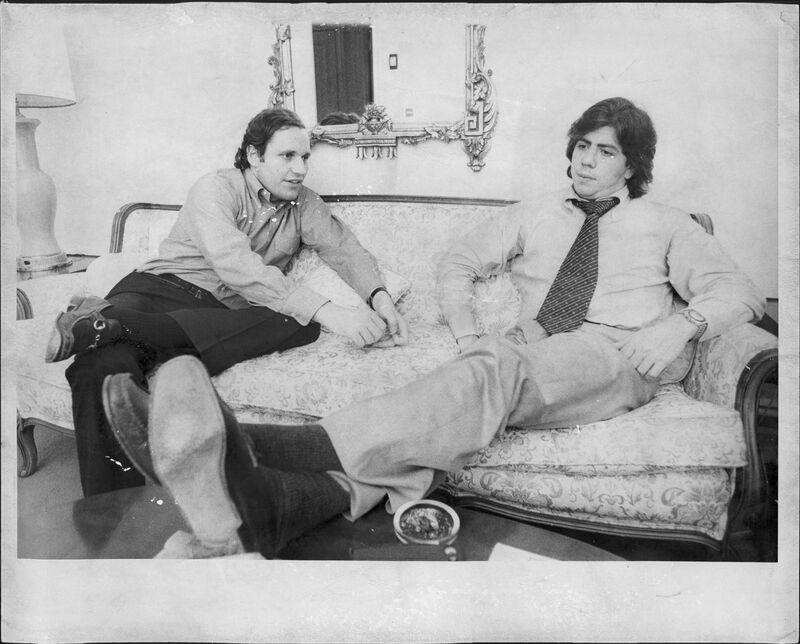 Bob Woodward, 31 (left), and Carl Bernstein, 30, in New York to promote "All the President's Men" on June 17, 1974 (Frank Leonardo/New York Post Archives via Getty Images)'""
"On July 27, 1974, the House Judiciary Committee voted to adopt the first of three articles of impeachment against President Richard Nixon, charging he had personally tried to obstruct justice in the Watergate case," Washington Post media columnist Margaret Sullivan writes on the cover of the Style section. "[I]t was both fitting and slightly surreal — precisely 44 years later — to see [Carl] Bernstein," 74, now a CNN contributor, talking about his triple-bylined story reporting that Michael Cohen was prepared to testify that President Trump knew about the infamous Trump Tower meeting with Russians. Bob Woodward, who's writing a Trump book, and Bernstein may be the greatest "single through-line from the doomed Nixon presidency to the troubled Trump presidency." On the pure longevity, journalist and author James Fallows told Sullivan: “It’s almost as if someone reporting on Watergate in the 1970s had also reported on the Teapot Dome scandal of the 1920s." "But making it even more eerie — his word — is the 'thematic consonance' of the two situations: both dramas of presidential legitimacy, both asking, 'What did the president know, and when did he know it?'" Trump tweeted: "Spent much time talking about the vast amounts of Fake News being put out by the media & how that Fake News has morphed into phrase, 'Enemy of the People.' Sad!" "In a five-paragraph statement issued two hours after the tweet, Mr. Sulzberger said he had accepted Mr. Trump’s invitation for the July 20 meeting mainly to raise his concerns about the president’s 'deeply troubling anti-press rhetoric.'" "Sulzberger recalled telling Mr. Trump at one point that newspapers had begun posting armed guards outside their offices because of a rise in threats against journalists. The president, he said, expressed surprise that they did not already have armed guards." "Trump expressed pride in popularizing the phrase 'fake news,' and said other countries had begun banning it. Mr. Sulzberger responded that those countries were dictatorships and that they were not banning 'fake news' but rather independent scrutiny of their actions." 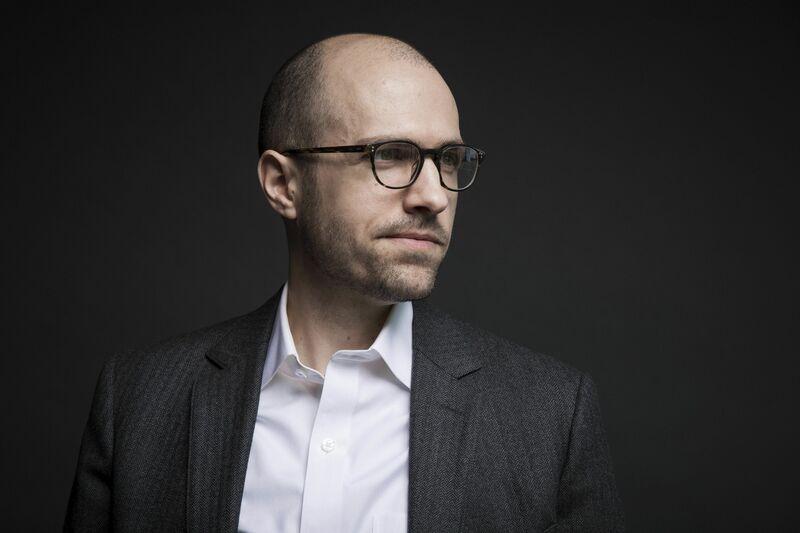 Why it matters: "Mr. Sulzberger’s lengthy, bluntly worded rebuttal was a striking rejoinder to the president by the 37-year-old publisher of a paper with which Mr. Trump has had a long, complicated relationship. And it apparently touched a nerve: The president fired off a series of angry tweets in the afternoon, accusing newspapers of being unpatriotic." "The company is celebrating the 1968 national launch of the double-decker sandwich whose ingredients of 'two all-beef patties, special sauce, lettuce, cheese, pickles, onions and a sesame seed bun' were seared into American memories by a TV jingle." 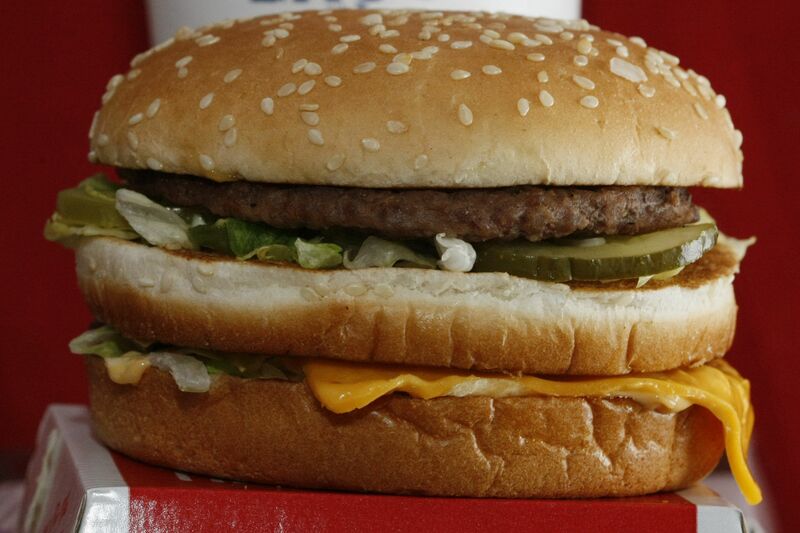 "The Big Mac remains unchanged, showing just how much McDonald's and the rest of fast-food have evolved." "Kale now appears in [McDonald's] salads, fresh has replaced frozen beef patties in Quarter Pounders, and some stores now offer ordering kiosks, food delivery and barista-style cafes." "Newer chains such as Shake Shack and Five Guys offer burgers that can make the Big Mac seem outdated. Even White Castle is modernizing, recently adding plant-based 'Impossible Burger' sliders at some locations." The Big Mac idea came from a franchisee, as did the Filet-O-Fish, Egg McMuffin, Apple Pie (once deep-fried but now baked), and the Shamrock Shake.